Teeparty - 4 pcs. 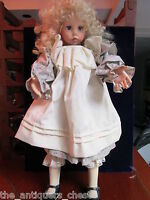 OUTFIT for Dianna EFFNER LITTLE DARLING doll 13"
Exclusive! OOAK outfit Diana Effner Little Darling 13"
Sunday best 4 pcs. OUTFIT for Dianna EFFNER LITTLE DARLING doll 13"